Upgrade to the Modern Mediterranean design package for FREE on select homes until June 3. You can apply this package to a wide array of floor plans, including the ones featured below. 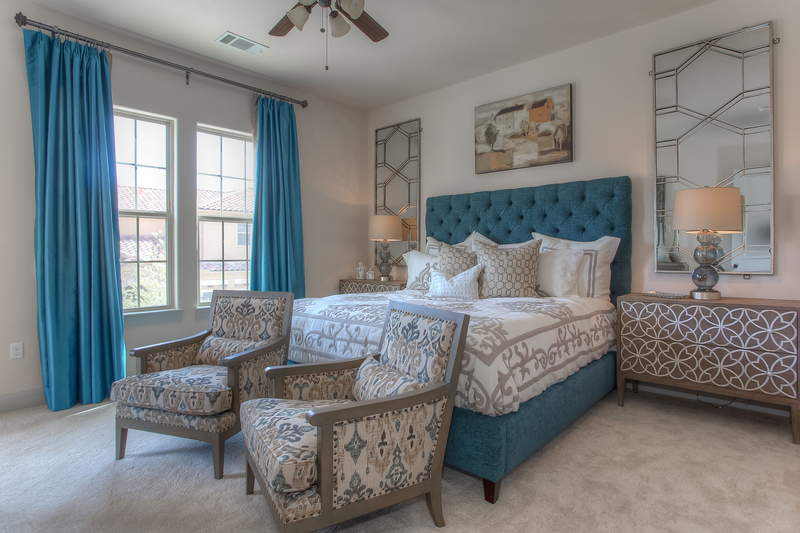 Find a home that suits your passion at Positano Las Colinas. A grand entrance, spacious great room, and impressive gourmet kitchen are ideal for entertaining friends and family. Store your stand mixer and espresso machine in the large pantry, or give them pride of place on the ample countertops. The clean, contemporary finishes in our Modern Mediterranean design package provide the backdrop for your culinary passions to take center stage. Spend an evening curled up next to the fire in the great room, or enjoy the warmth of an additional fireplace in the master bedroom. Warm light from the natural Capiz Shell pendants and mercury glass Fantine Chandelier (included in our Modern Mediterranean design package) set the mood for a night in. Soaring high ceilings, exposed wood beams, and an airy loft space create a tranquil atmosphere filled with natural light. A freestanding tub in the master bath adds a luxurious touch to this spa-like retreat. The soft grey color palette of our Modern Mediterranean design package unifies the home to create a calm and soothing environment. Click here to see other available floor plans, or call our sales team today at 972-845-1536 to arrange a private tour.